Zee TV's Choti Bahu is all set for a bigger twist. A new character is entering the show who will turn Barkha's (Benaf Dadachandji) life topsy-turvy. Nishant Shokeen who was seen in Zee TV's Mera Naam Karegi Roshan is now making a come back after a sabbatical of 7 months. With his entry in the maha episode on 16 October viewers are in for a big twist in the tale. "I'll be entering Choti Bahu as Lord Krishna," confirmed Nishant. However, the actor was initially apprehensive to take up the role as he was reluctant to wear Lord Krishna's costume. "I was initially uneasy but later agreed as there is a mystery element about my character which is yet to be unveiled. So I am excited about it," informed the actor but refused to divulge any further. Nishant had been holidaying in US after his show Mera Naam Karegi Roshan. He opted for Choti Bahu as he is happy to be a part of his favourite channel (Zee TV) once again. 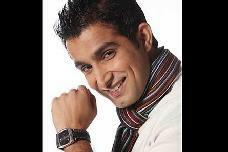 "I am happy with my role and glad to be a part of Zee TV again. Soon there will be a high-point in the show and the creative team is banking on my entry," said Nishant. Nishant's entry will be during the maha episode on 16 October and a source from the sets informs us about the track. Viewers have seen that Radhika (Rubina Dilaik) has come back home and the entire family is happy that she is alive. Barkha is stunned to see her as she had brutally murdered her. As per the source, in the upcoming maha episode Barkha will confess to Maheshwari (Pragati Mehra) that she had killed Radhika and the woman present in the house is not Radhika but her evil spirit. Maheshwari will get scared and will plan a Bhagavad Gita path in order to get rid of the spirit. However, she will be unaware that Radhika is not a ghost but an incarnation of Lord Krishna. Furthermore, Barkha will once again plan to kill Radhika but all her attempts will turn futile and she will meet with an accident. During the Bhagavad Gita path Radhika will turn into Lord Krishna's avatar, further informed the source. Well, let's hope that Nishant's entry and this captivating track will keep the viewers on the edge of their seats.